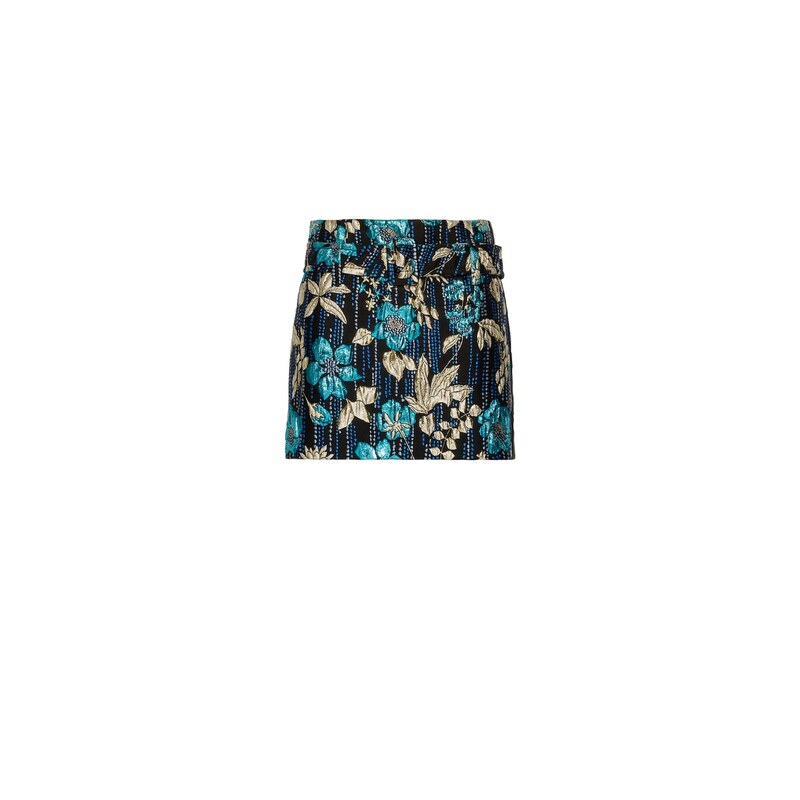 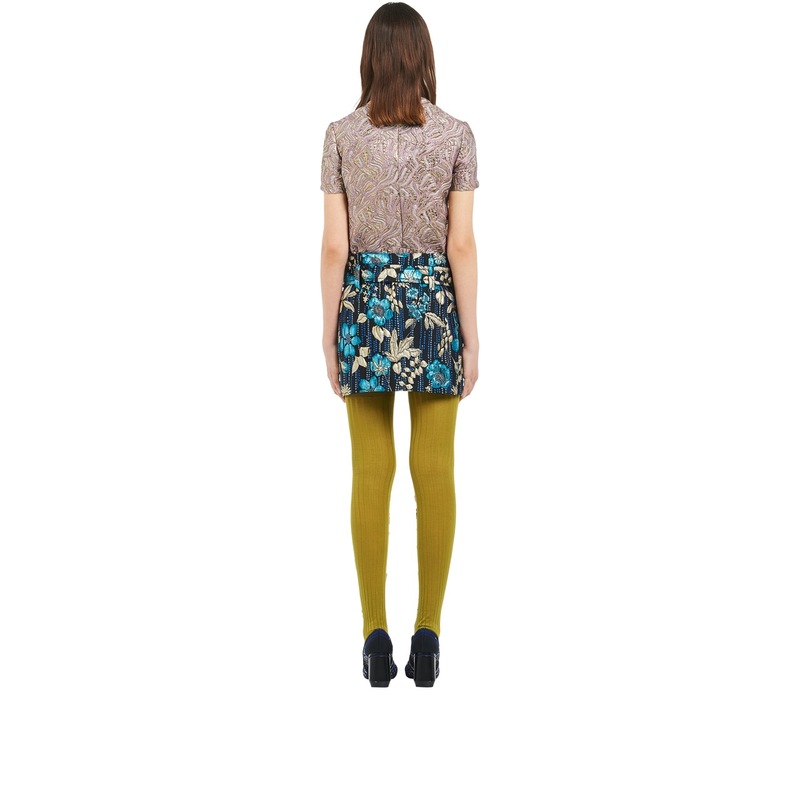 Luxurious cloqué fabric with a floral motif characterizes this miniskirt with casual charm. It has a belt and buckle at the waist in the same fabric. 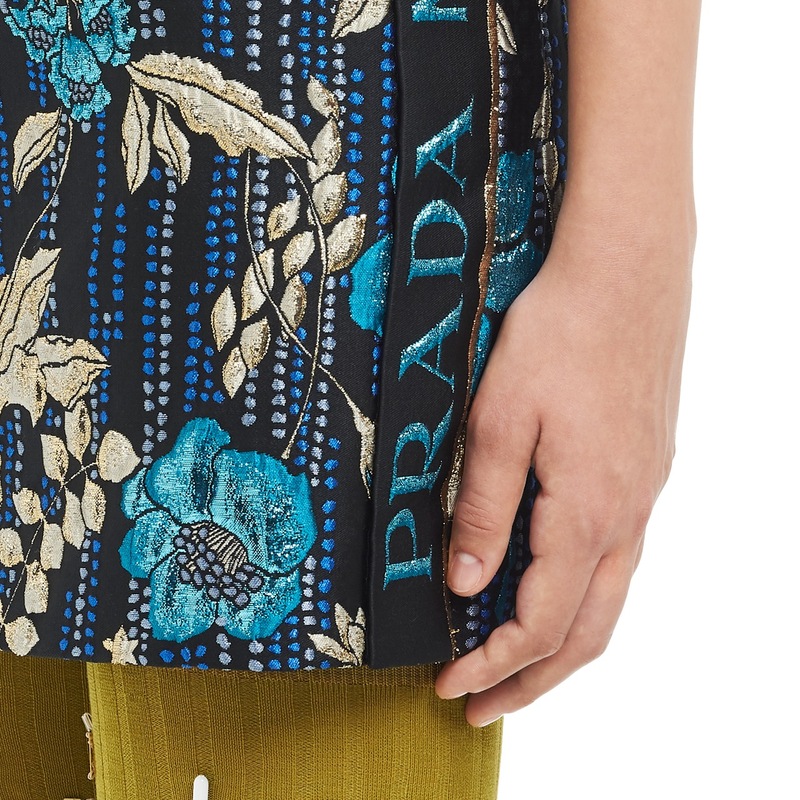 The jacquard logo decorates the side.